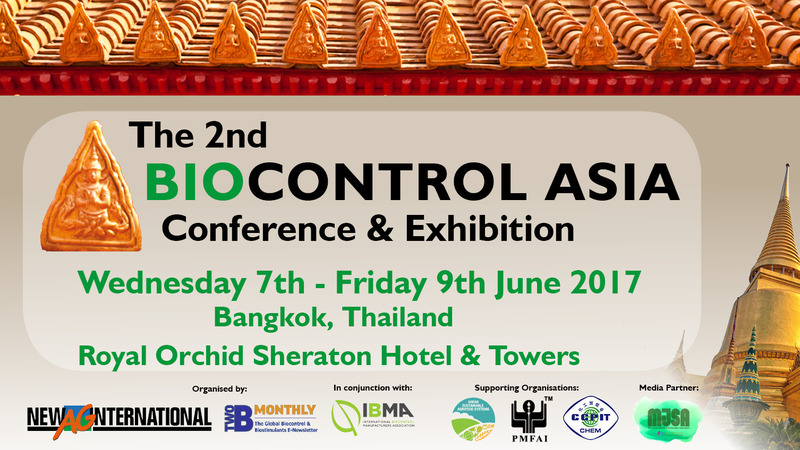 Biocontrol Asia Conference & Exhibition that took place in New Delhi in 2015 and gathered more than 200 people from 20 countries and the recent inaugural Biocontrol LATAM conference & Exhibition that took place in Campinas, Brazil and gathered more than 450 delegates from 26 countries, New Ag International & 2BMonthly join forces again with IBMA to organize the 2nd Biocontrol Asia Conference & Exhibition. It will take place in the vibrant city of Bangkok, from Wednesday 7th to Friday 9th June 2017. More than 300 delegates from the whole Asia-Pacific region and Oceania are expected to gather to discuss the future of biopesticides in the big and smaller markets of the region.